Chantecaille is one of my favourite high end makeup brands. 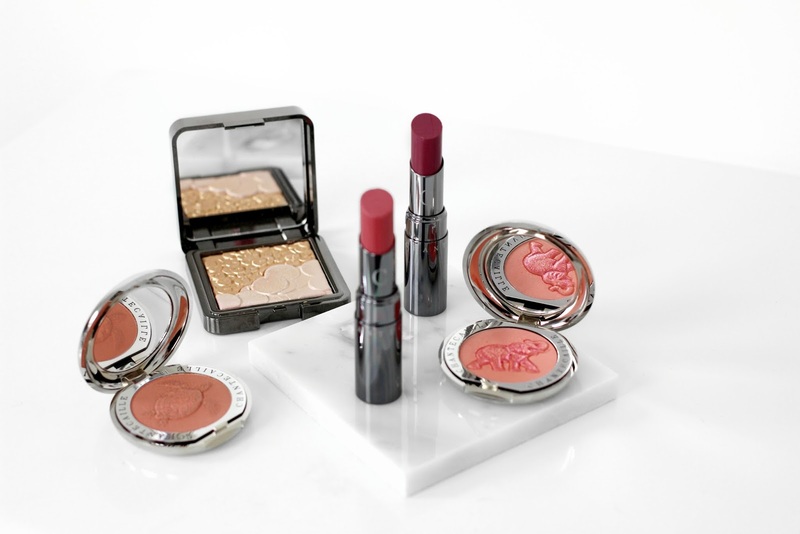 Their products are very luxurious and I always feel so beautiful every time I wear them. I've picked out a few of my favourite pieces to share with you. Chantecaille Les Paillettes - You will have heard me talk about this quite a bit recently here on my blog and over on my YouTube channel. I can't get enough of it. It's a stunning rose-gold highlighter that gives me the most beautiful glow to my cheeks. I love mixing the two shades together to get my perfect highlight. Chantecaille Philanthropy Cheek Colour - These are the most gorgeous blushes I have ever set my eyes on. Both "Elephant" (smitten) and "Turtle" (grace) have been my go-to blushes for the past few weeks. "Turtle" is my favourite daytime flush and "Elephant" is my go-to evening blush. These are super lightweight and give me a pretty pinch to my cheeks. Chantecaille Lip Chic - These are the most comfortable and long-wearing high end lipsticks. They apply so smooth to the lips and have a gorgeous high shine glossy finish (see this post for swatches). I love these so much because they make the lips look much fuller and super juicy!